Herbert, Sherbet, Maggot and Rusty, as well as Rusty’s pet Metroshoposaurus, make up the very popular Metrognomes. 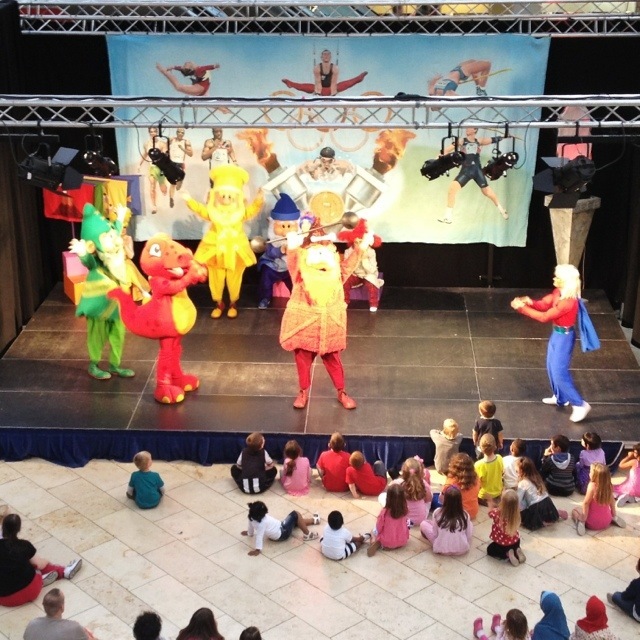 They come out at the Metrocentre during school holidays with free shows to entertain children, performed four times per day throughout the holidays – a brand new show for every holiday. It must surely be the job from hell for the actors by the end of the run, not to mention the workers in the shops nearby! Despite the frequency if the performance, The Metrognomes always attract impressive crowds for each performance, which I guess is testament to their popularity. There’s also a website with a free-to-join online Metrognomes Kids Club, which entitles kids to a free wristband and Metrognomes comic. The Metrocentre also sells oodles of Metrognomes merchandise, including DVDs and cuddly toys. Lots of shopping centres have characters and similar schemes that appeal to kids, but I don’t think I’ve ever seen one that’s quite as successful or comprehensive as this! This 1,779th post was filed under: Photo-a-day 2012, Gateshead, Retail.